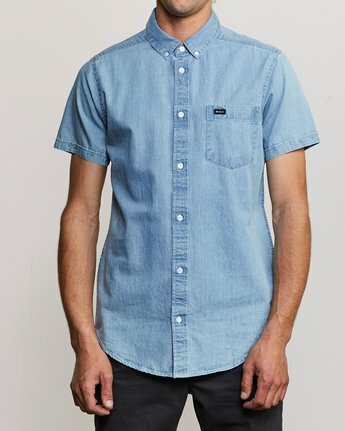 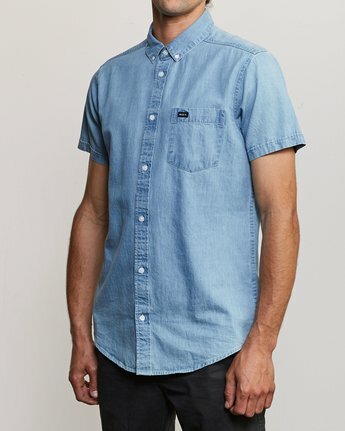 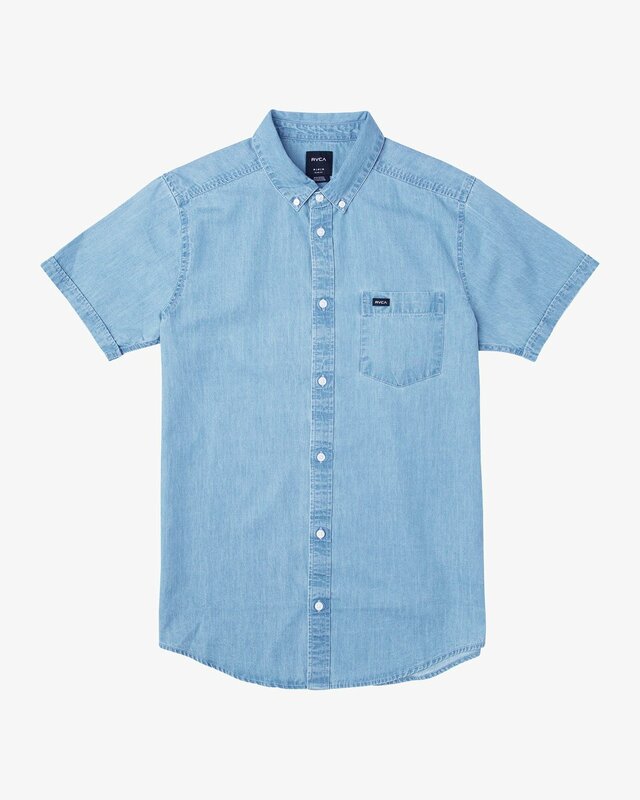 Full of classic appeal, the 100% cotton Dead Flag Washed SS woven shirt by RVCA is built for comfort. 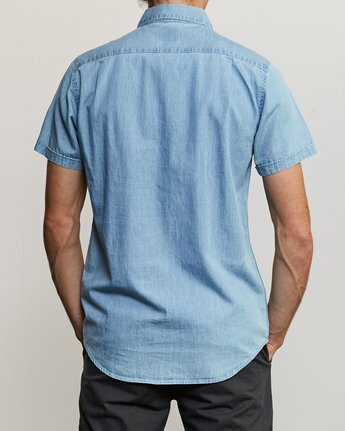 Designers have given this short sleeve top a heavy washing for a vintage look. Also added have been buttons at the collar points and a patch pocket on the left chest. 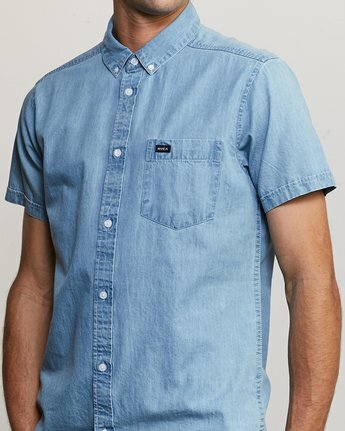 A RVCA solo label has been included on the pocket hem.